Finding an affordable and reliable source for stock media is an ongoing battle for most producers of high-quality digital content. As the marketplace grows, the need for a streamlined database that allows users to access the best creative assets at the lowest prices quickly has become imperative. Boasting a user-friendly design and a library that includes over 500,000 music tracks, 700,000 sound effects, and 6million video files in HD and 4K. 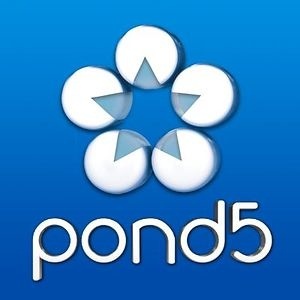 Pond5.com fills this niche in our market with a one-stop shop that is sure to satisfy the needs of most media-producers no matter the size. From part-time film-makers to international production houses. With clients that include the BBC, National Geographic, and the Wall St Journal, Pond5 has established itself as an industry leader but also caters effortlessly to smaller productions with limited budgets, offering easy access to footage and tracks for as little as a few dollars per item. With great offers on a variety of content, there’s a lot to be excited about. Here we run through some of the best deals and features of this go-to site for all serious producers. Describing themselves as “the worlds’ most vibrant marketplace for creativity,” Pond5 has set a pretty high-bar for themselves, but with their offer of access to royalty-free tracks at extremely reasonable prices, they may just be right. Musicians rave about the ease of its intuitive system and, as such, upload new content by the second (as a tracking clock on their website demonstrates). Browsing the online catalog is a hassle-free experience, with an autoplay function which activates as you hover over each thumbnail. Dividing songs by mood/genre/style, along with many other categories, Pond5 makes finding the perfect track or clip a simple and straightforward experience. Pond5 is offering a broad range of pricing that can provide stock for almost every budget. Even for those who have to squeeze every last cent out of a deal. There is still a way to cut the per download cost even further, and to get a great deal on a production music tracks or video content. Although anyone can buy content on Pond5, this is limited to most expensive stock, so to make the most of this versatile resource you’ll need to sign up to a membership plan. An annual subscription may seem expensive with a price that breaks the 400 dollar mark, but this gives members plenty of bonuses in return. In addition to ten complimentary downloads per month, members also gain access to over 200,000 clips from their broader library. Pond5 also allows the monthly rollover of unused download credits, meaning members can build up a reserve without fear of expiration. If this still isn’t enough, Pond5 also offer members the lowest possible price on all HD and 4K video. There are many great online resources for the modern day media maker to take advantage of, but few if any can offer such comprehensive access to the diversity and volume of stock as Pond5. In a world where time equals money, Pond5 may just offer us a chance to make more of both. And who could say no to that?